Driftwood is ecological, free and great for creating beautiful, unique objects. Driftwood is the pieces of wood that wash up onto the shore. It’s wood that’s weathered by the waves, stones, and wind. 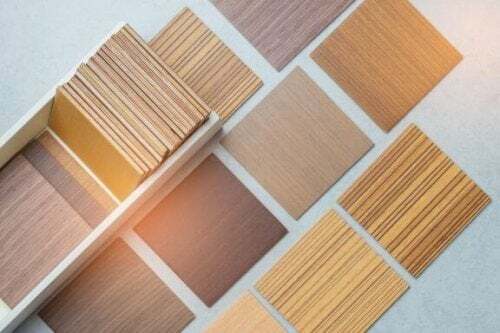 Over time, the tree bark gives way to smooth, rounded shapes that are light and pale in color. Each piece is individually shaped by its journey. 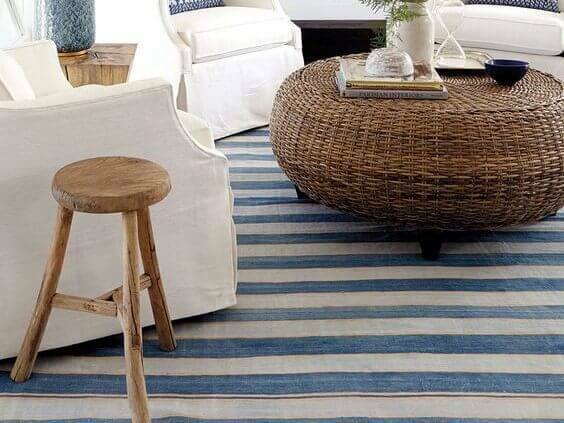 People use driftwood to make furniture and eco-friendly decorative accessories that are highly original. Each piece is unique. Here is a a list of driftwood objects that’ll really get your creative juices going. 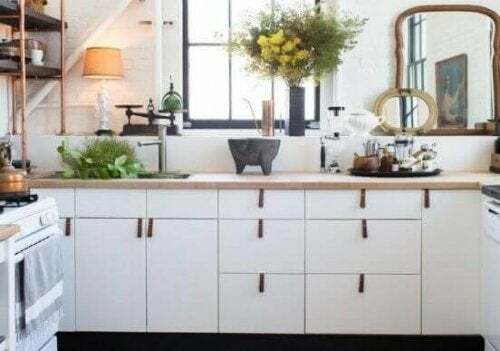 Round mirrors are a popular trend that has been around for a couple of years now. We mainly see golden vintage mirrors. 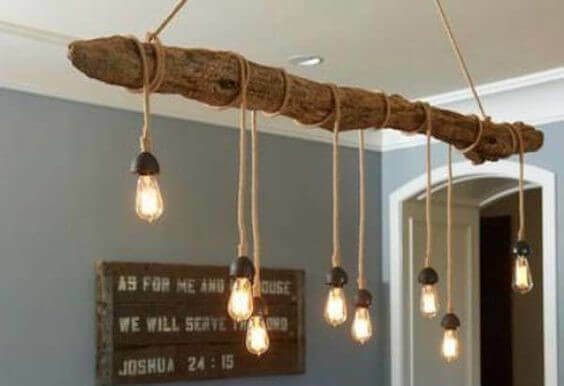 But our first idea uses pieces of driftwood instead, creating a setting that’s rustic and Bohemian. 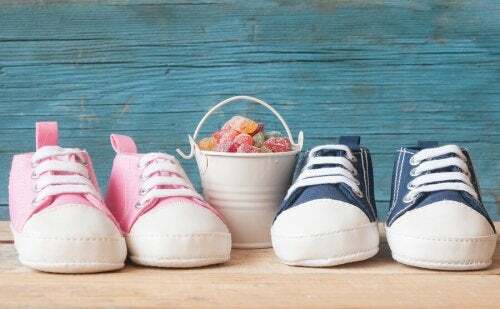 If you’re not very crafty, check out this original decor accessory. You only need a glass jar and some pieces of driftwood. Try adding a unique touch with some string and shells, or use a ribbon in your favorite color, paint the jar… be creative. Don’t you just love this? We can’t get over this simple yet beautiful bar. A few hooks have been attached to a piece of driftwood. You could use this to hang your bag or coat, or hats and scarves. 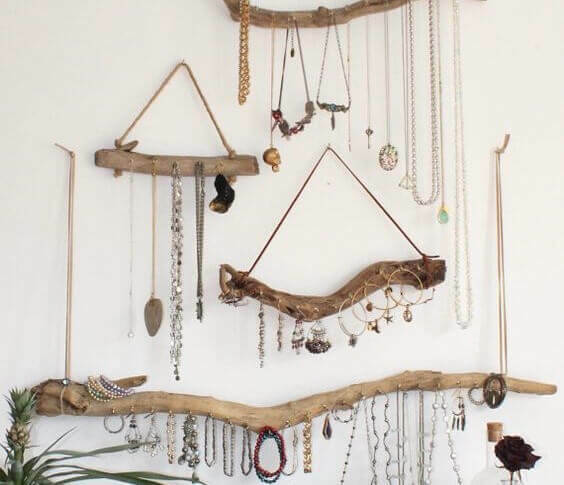 If you need a place for your jewelry, check out this idea. 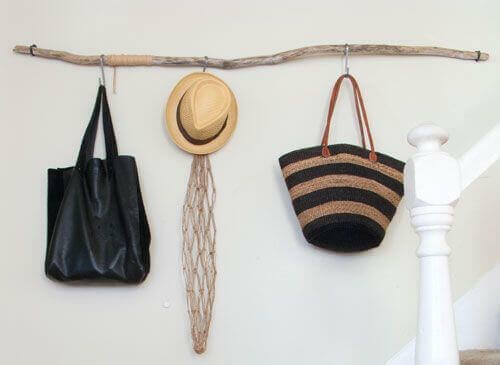 You can set up jewelry hangers on your wall by using pieces of driftwood and string. 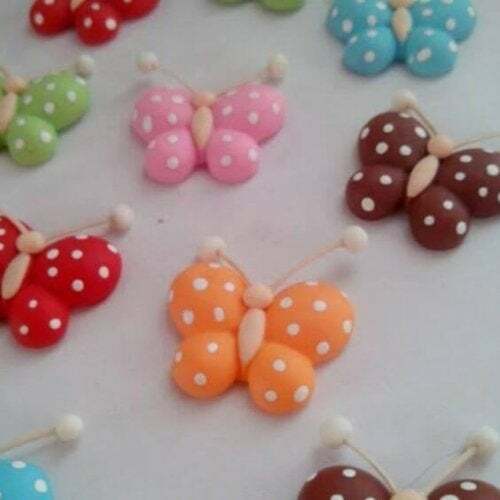 Hammer in small nails to hang your necklaces, bracelets and earrings. 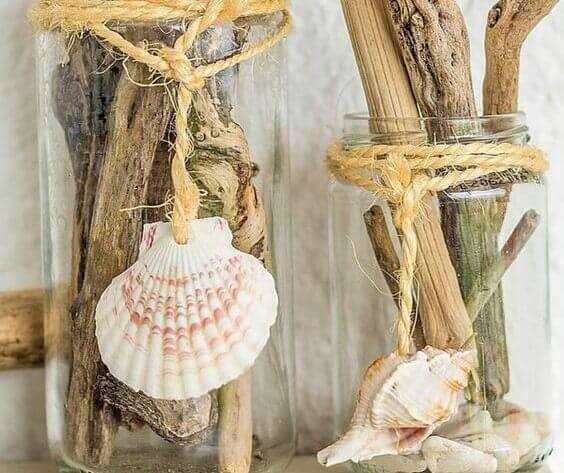 You can even create a beautiful set of hangers by using different sizes and lengths of driftwood together. Driftwood is also great for making furniture. This small stool is a good example. Driftwood furniture is perfect for Bohemian and Nordic settings. 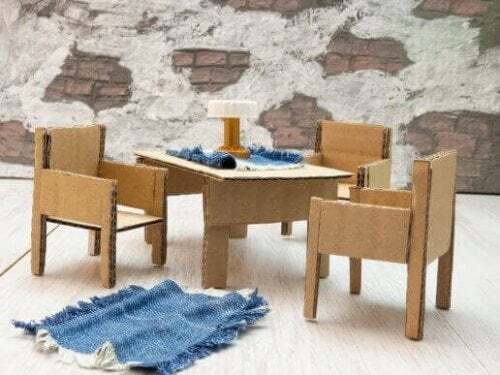 It also looks great with natural fiber pieces. 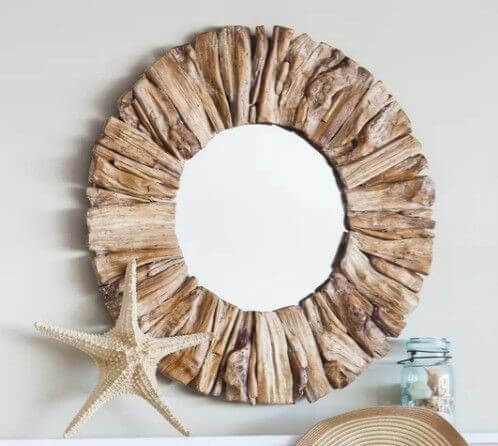 This is another great DIY idea for driftwood. You just need a pot and to line it with driftwood. Alternate the lengths and widths but make sure that none stick out too much. 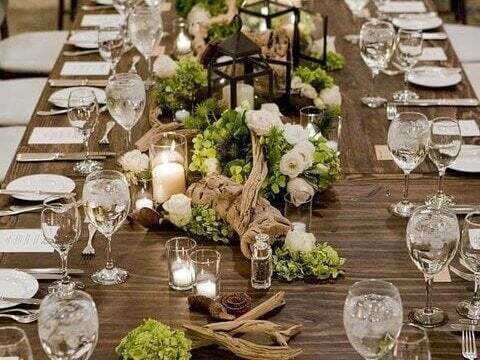 Just look at how beautiful a few pieces of driftwood are as a table centerpiece. If you have a big event coming up, considering using this idea. 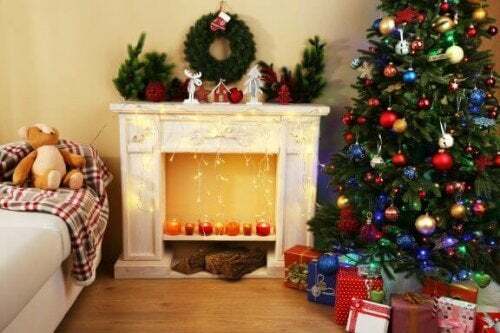 Leave some of the wood as it is and decorate other pieces with flowers and leaves. 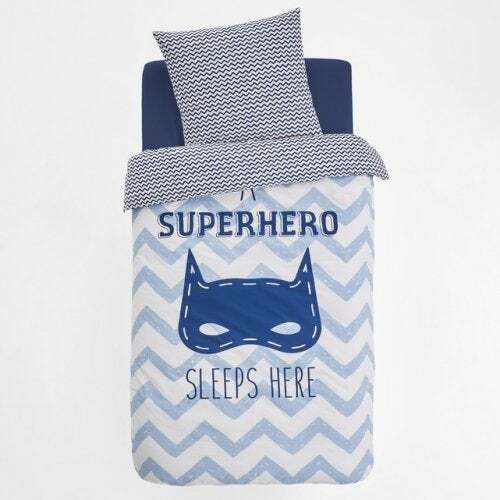 Your guests will love this. 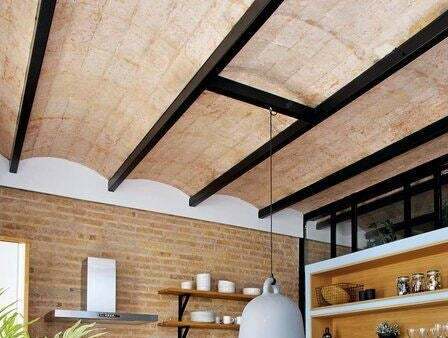 Here’s another example of how a simple piece of wood can do wonders for the look of a room. String and hanging lightbulbs join together to create a beautiful light fixture for a dining room. This could be a great idea for a restaurant. This idea links to from the last one. But instead of lights, you can hang small plant pots from the driftwood. 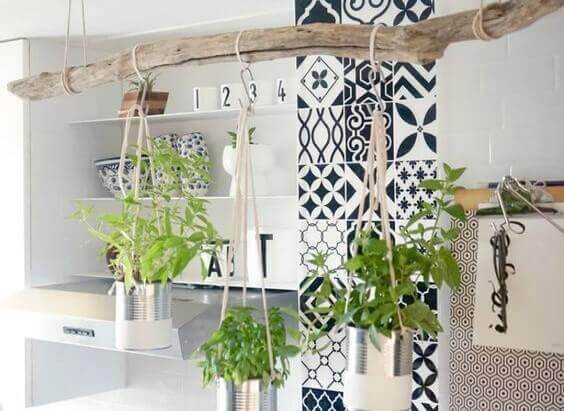 If you hang it in your kitchen, as shown in the picture, try planting herbs to use in your cooking. 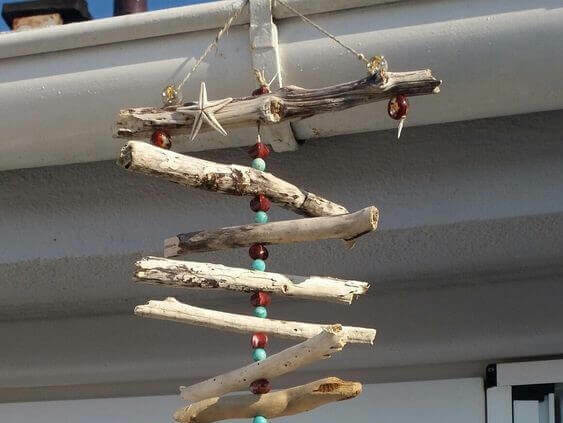 You can create a mobile for your home like the one shown above by using colorful stones, seashells and some rope. Hang it on your deck or porch, or even on one of your walls inside your home. A small corner can project personality if you add eye-catching details. 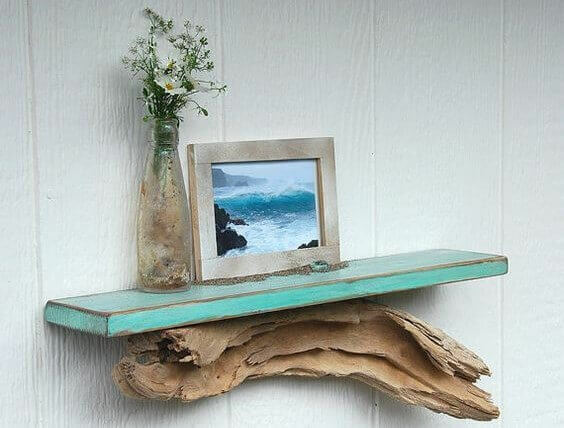 Driftwood is inspirational for this. 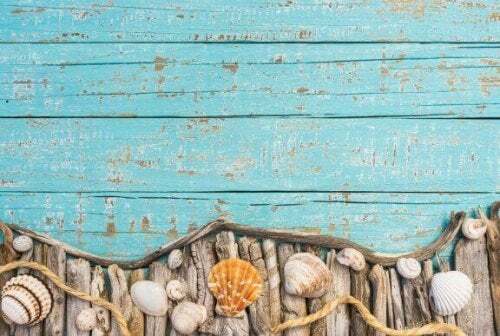 In the picture, the driftwood is used as a base for a weathered wooden board. The result? An utterly charming decor piece. Driftwood is so popular right now and can create character for your home decor with character. 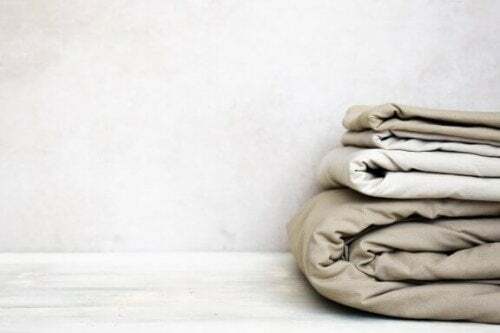 And the great thing is it’s eco-friendly too!